Introducing young children to live theater is a great way to broaden their horizons and kick off an appreciation of the arts. Thankfully, there is an abundance of family-friendly performances around the region this theater season. Use this guide to find shows the whole clan can enjoy. Are your little ones a fan of that infamous pink pig known as Peppa? Thrill them with Peppa’s live performance that features tons of singing, dancing and splashing in puddles with “Peppa Pig Live!” this September at the State Theater at Cleveland’s Playhouse Square (playhousesquare.org). You also can check out the highly acclaimed “Finding Neverland,” Broadway’s newest hit and the story behind the beloved Disney character Peter Pan, in November at Connor Palace at Playhouse Square. The Fine Arts Association in Willoughby (fineartsassociation.org) presents Disney’s “Beauty and the Beast.” Catch the timeless tale of inner beauty and love this November. Alice is in Wonderland again, this time at the Beck Center for the Arts (beckcenter.org) in Lakewood starting in November. 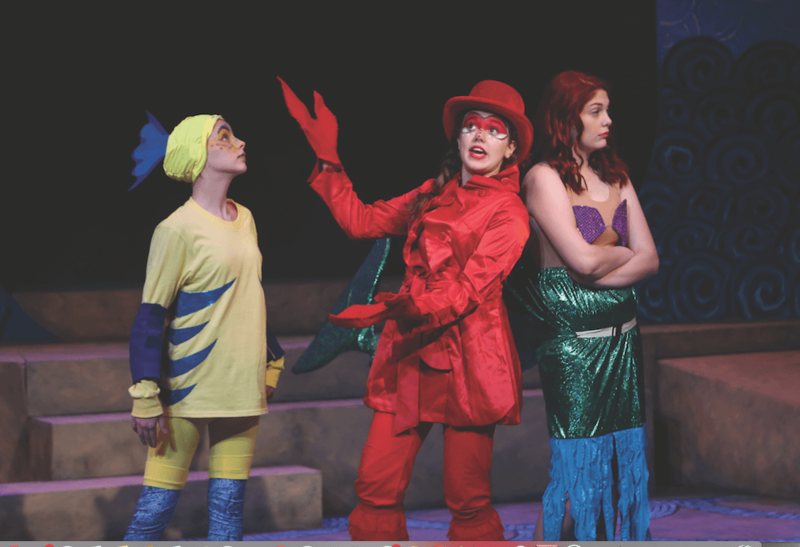 Get lost with her in “Alice’s Adventures in Wonderland.” If your family is looking for an underwater adventure, bring them to Disney’s “The Little Mermaid” when it also hits the stage at Beck Center in December. Make the princess in your family beam in November with “Cinderella” at E.J. Thomas Hall in Akron. Another cherished childhood favorite, “The Big Friendly Giant,” starts in October at the Magical Theatre Company in Barberton (magicaltheatre.org). Also, watch the loveable Junie B. defend her case in “Junie B. Jones is Not a Crook” next May. Before you know it, the holiday season will be upon us. Thankfully, there is absolutely no shortage of holiday shows for the whole family to appreciate. Akron’s Weathervane Playhouse (weathervaneplayhouse.com) will present “Joseph and the Amazing Technicolor Dreamcoat” in December. The story follows the Biblical saga of Joseph and his coat of many colors in this musical parable that has become an Akron holiday season tradition. It wouldn’t be Christmas time if we weren’t recalling how the Grinch once stole it. “Dr. Seuss’ How the Grinch Stole Christmas: The Musical” hits Connor Palace at Playhouse Square in December. Speaking of Grinch-like qualities, don’t forget our old pal, Ebenezer. The classic Christmas tale “A Christmas Carol” is a staple in holiday theater and will make its way to Ohio Theatre at Playhouse Square starting in November. Finally, “A Charlie Brown Christmas” is a show that can melt even the scroogiest of hearts; it hits Magical Theatre in December. Pick your favorites and book your seats. Get the kids out of the house and give them something to sing and dance about this theater season.